End User Computing (EUC) refers to any endpoint device, typically a desktop computer, laptop, thin-client or tablet that is used to access applications and information. Demand on IT services has increased considerably in recent years, resulting in pressure to support a greater number of users and applications, many working remotely or from mobile devices. In order to provide access to NHS systems and applications, application and desktop virtualisation (also known as Virtual Desktop Infrastructure or VDI) is utilised by many NHS organisations. To permit access to NHS applications and data from suitable devices, virtual desktop software runs the desktop session in the datacentre, giving the user remote access via dedicated client software or a browser. However, in many NHS organisations, the traditional physical desktop or laptop remains the standard method of providing access to systems. 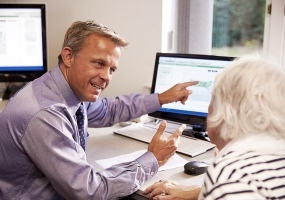 At BDS Solutions we provide services for both physical end user computing and virtual end user computing for NHS organisations across the UK, ensuring the efficiency and security of these end user devices. We provide a comprehensive portfolio of services ranging from usage analysis and sizing through to the deployment of solutions using VMware Horizon View and Citrix XenDesktop. We have a long established reputation in optimising Active Directory group policy, System Center Configuration Manager (SCCM), Windows Server Update Services (WSUS), BitLocker and deployment toolkits to deliver and manage large-scale desktop estates.